The fully functioning SuperSearch programs can be downloaded in either MAC or PC format. They are provided to you free of charge. Add the format of your choice to your Cart. The downloadable files have been created as a FileMaker Pro database, and the file also contains a complete FileMaker Pro search engine program (with a basic user license) to access the database. MAC USERS PLEASE NOTE: Recent changes to the MAC operating system make Filemaker incompatible. While you will be able to install the program, the data files will not be accessible. There is no immediate fix available for this issue. You can continue to use the Online Search regardless of your operating system. Older MAC systems still work well with Filemaker. 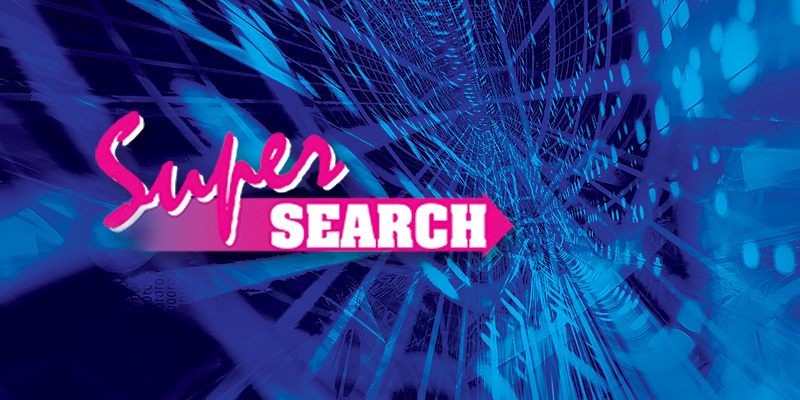 SuperSearch is designed and updated by Sound Ideas to be used as your own personal sound effect or music search tool. SuperSearch gives you the flexibility to customize the complete database that we provide by either deleting products you have not purchased from us yet, or by adding your own personal sound effects data or your own music data. The files will uncompress automatically during download, leaving installers for Royalty Free music, Sound Effects, The XV Series and The SFX Kit. The installer then installs the database file you have selected, along with a FileMaker Pro user program. For instructions on use of the search programs, click the "HELP" button at the opening screen. After downloading, run the program to start the installer. NOTE: These programs can only be run on Windows 95 or later. For instructions on use of the search programs, after installation click the "HELP" button on each program's opening screen. This work (the Sound Ideas SuperSearch search program, its data files and/or the ASCII files of data supplied on this Web site) is made and distributed under a non-transferable license. By accepting this work, you agree to the following terms and conditions. Your use of this work is limited and restricted solely for the purpose of obtaining and organizing track and description information about sound effects, production element and music products published and/or distributed by Sound Ideas. In addition, you agree that this software is provided on an "as is" basis. Neither you nor anyone else may make any copies of any of the software, its interface, any of the data files or the recordings in this work, except as may be designated to a single stand alone workstation for the purpose of search, display and printing of the data contained within. Transfer, copying or duplication of the work in whole or in part for any other purpose is expressly prohibited unless specifically authorized in writing by Sound Ideas. Transfer of the interface and/or one or more data files (or portions thereof) to any format allowing network or remote access by two or more end users or the re-publishing and/or distribution of the interface and/or one or more data files (or portions thereof) in any third party product (print or electronic) requires a supplemental license. In the event of a breach of these terms, action may be taken against you directly by the owner of the copyright.